I just got an email invite to purchase American Mormon from Excel Entertainment. I was pleasantly surprised (and a little amused) that Darin Tufts was the main dude in this straight to DVD release. Darin Tufts served a mission in the Philippines and was assigned in San Fernando, Pampanga, where I lived, for a few months. 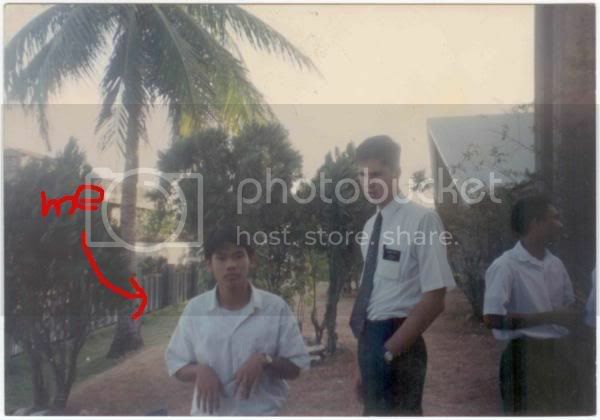 He was the junior Elder in our ward (our church unit) and knew very little tagalog. As a good missionary assistant, I took upon myself the task of getting this missionary familiar with his stomping grounds. I tracted (church talk for walking around and getting doors slammed on our face) with them on occasion and talked music and movies with him on a more regular basis. Since this guy ate, drank and breathed movies, I figured this would be his true calling and would pursue it after his mission. Sure enough, I saw him as the geeky but spiritual best friend to the lead in The Singles Ward, another Mormon comedy. click here for the American Mormon website. "Memoirs Of A Geisha" Trailer Up.